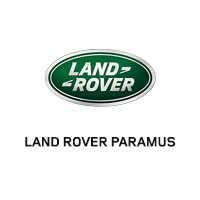 Land Rover Paramus Wants to Buy Your Vehicle, Even if You Don’t Buy One From Us. Have you been considering purchasing a new Land Rover model, but are unsure where to begin in selling your current model? We want to make you an offer on your current vehicle, whether you decide to buy a new model from us or not. Our experienced staff in Englewood is willing to work with you – no limitations on mileage, age, or condition. Come into Land Rover Paramus Today! Whether you are looking to sell your current vehicle, are looking for a second appraisal, or for a new Land Rover to get behind the wheel of, Land Rover Paramus has you covered. You can come visit us near Ridgewood, or reach out to us with any questions you may have. We look forward to seeing you soon!